Homegrown Tools tells the story of small towns that have successfully stimulated private investment and job creation. 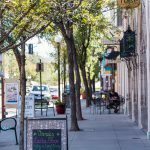 The tool is meant to connect public officials, practitioners, and researchers to successful small town economic development strategies and inspire small towns to leverage their unique assets. Homegrown Tools is managed by NCGrowth, an EDA University Center at UNC Chapel Hill, in partnership with the Federal Reserve Bank of Richmond, the UNC School of Government, the NC Rural Center, and the UNC Department of City and Regional Planning. 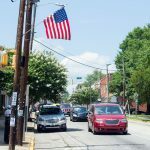 With an identity proudly rooted in its small town history, and a location ideal for commercial development, Hillsborough strikes a savvy balance between preservation of its past and growth for its future. Instead of allowing failed projects from the past to depress the community further, Ayden creates a new vision, enables local residents to implement the vision and revitalizes both downtown and a sense of civic pride.